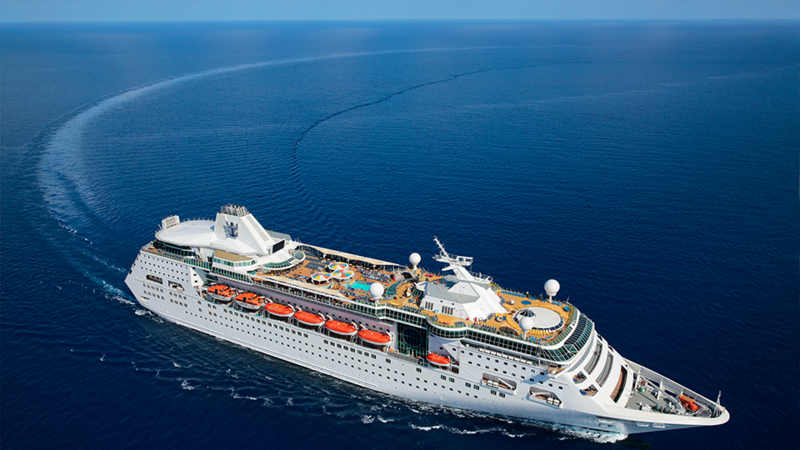 Enjoy this 8 night Best of Cuba cruise aboard the Royal Caribbean, Empress of the Seas with Bishop Will Willimon. Prices starts at $799 starting on October 25, 2019. Cuban Visas are also required for this program. Guests will be able to purchase them onboar d the Empress of the Seas for $75. Mandatory Cuba health insurance is required for all guest and is included in your cabin cost. Depart from Port of Miami. Legendary nightlife, iconic music, and distinct culture. Take the unique opportunity to get to know fascinating local culture while discovering the timeless sights and sounds of nostalgic Havana. Don't miss the Plaza de la Catedral, one of five old town squares in Havana and home to the Cathedral of Havana San Cristobal. With its majestic 18th century architecture and landmarks, it's known as one of the most valuable historical sites in the city. Enjoy a taste of Havana today. 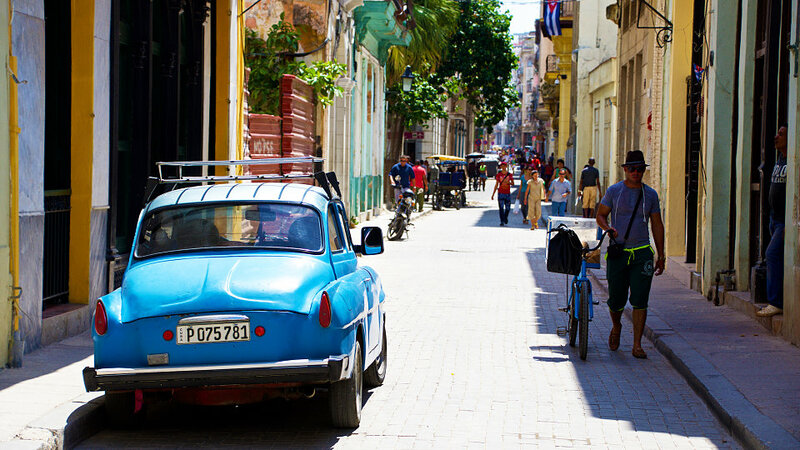 Cuba's capital city is teeming with classic cars and vibrant art. On your walking tour this morning you will visit Arms Square where you can view the Royal Forces Castle. Stop in St. Francis of Assisi Square, Cathedral Square and the Old Square before taking a break to eat lunch and shop on your own. Afterwards, explore the Fusterlandia art installation. Stop by the San Jose Craft Market and shop for unique handicraft items before returning to the ship. Continue on your exploration of Havana and discovering timeless sites. Visitors can admire the cathedral as they sip Cuba's signature cafecito in the plaza cafe. Worship at Havana Central Church before enjoying a bus tour past the Paseo del Prado, the Grand Theatro de Havana and the Capital Building. Stop in Revolution Square for photos of this massive monument. View Havana University and the Hotel Nacional before returning to the ship for lunch. Stroll the streets of Cienfuegos known as the Pearl of the South. From the Boulevard to Marti Park you can see the Triumph Arch, Bar Meson El Palatino, the oldest building in the city; La Casa del Dundador, residence of Don Luis de Clouet; the old Mayors Office, San Lorenzo School, the Pure Conception Church, and the theatre Tomas Terry built in 1890, now a national monument. By bus, you can take in the views of the Cienfuegos Promenade by Jagua Bay to reach Palacio de Valle. Start your morning at Project Trazos Libre, a community art project created by Santiago Hermes Martinez and marvel at all of the beautiful murals painted on the local homes and enjoy a visit to the artist's gallery. Visit the Graphic Society of Cienfuegos and learn about their work teaching locals with Down Syndrome how to make art to support themselves. Stroll the streets of Cienfuegos known as the Pearl of the South. From the Boulevard to Marti Park you’ll see the Triumph Arch, Bar Meson El Palatino, the oldest building in the city; La Casa del Dundador, residence of Don Luis de Clouet; the old Mayor’s Office, San Lorenzo School, the Pure Conception Church, and the theatre Tomas Terry built in 1890, now a national monument. By bus, we’ll then take in the views of the Cienfuegos Promenade by Jagua Bay to reach Palacio de Valle before you return to the ship. 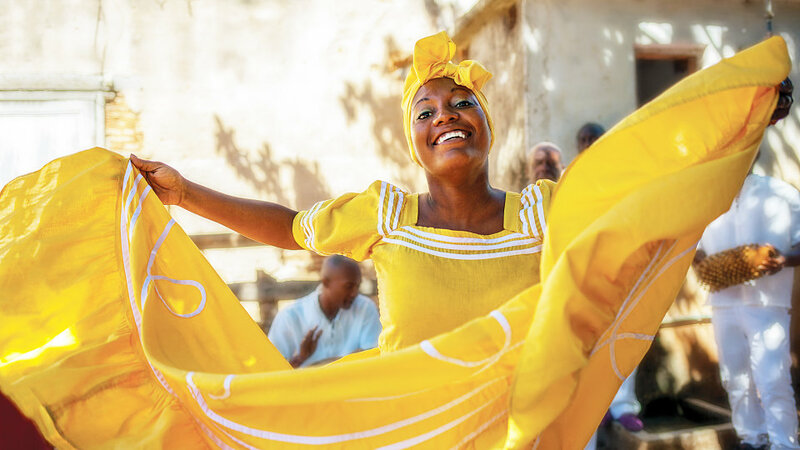 The distinctly Caribbean spirit of Santiago de Cuba is evident in every aspect of the city's Afro-Cuban cultural life. 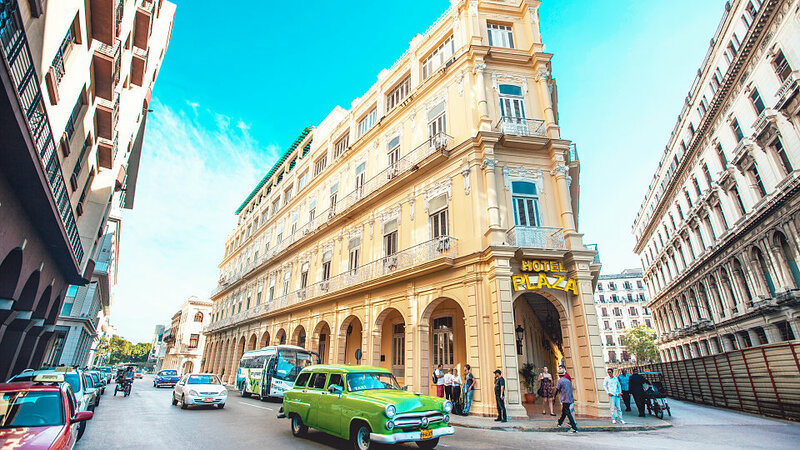 Cuba's second largest city is home to popular festivals of Carnaval and the Fiesta del Fuego, as well as to many of the country's most famed musicians and artists. Its diverse architecture ranges from Spanish coastal fortress of Castill del Morro to the red-domed towers of the Bascilica de Nuestra Senora del la Caridad del Cobre, Cuba's most sacred pilgrimage site within Soberania National Park. Remember Cuba's long struggle for independence with a visit to Santa Ifgenia Cemetery to witness the changing of the guards at Jose Marti's Tomb and walk past the simple rock grave of Fidel Castro. Visit the Castillo de San Pedro de la Roca on the scenic coast. Originally built as a fort to ward off pirates, it later was reused as a fortress during the Spanish‐American War. Stop at San Juan Hill and view the scenery below as Teddy Roosevelt and his Rough Riders would have. Tour the Moncada Barracks now a museum to the revolution. The attack on the barracks by Fidel Castro's revolutionaries on July 26 was the starting point of his revolution. Fidel Castro would later name his revolution movement after the July 26th date of the attack. After your touring is done you will be dropped off in the city center for free time to explore and shop on their own before the bus returns to the ship. Return back to Port of Miami.